Originally located at the corner of Hopetown Street and Princes Highway. 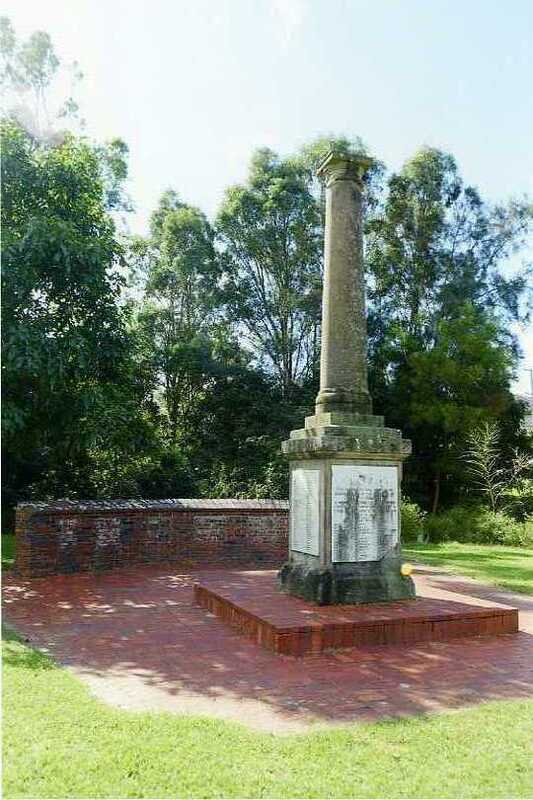 The War Memorial was re-erected during the "Back to Bulli" celebrations in September 1989, at Slacky Flat Park. This monument was erected by supscriptions of the citizens of Bulli-Woonona in memory of those who gave their lives for the cause of freedom & those who enlisted in the Great War 1914 - 1919. 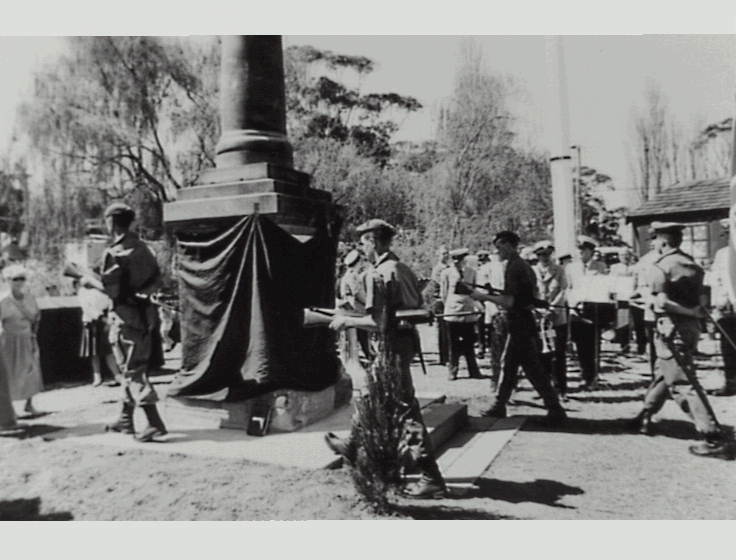 The Image below is of the official re-erecting of Bulli-Woonona War Memorial as part of the "Back to Bulli" celebrations in 1989 at Slacky Flat Park.